Please note that GLOSSYBOX is also available in Austria, US, UK, France, Germany, Netherlands, South Korea, Spain, Swedne, Poland, Italy, Brazil, China, Japan, and Taiwan. If you haven’t heard of GLOSSYBOX before, it is a monthly subscription service of beauty and makeup products delivered directly to your door. 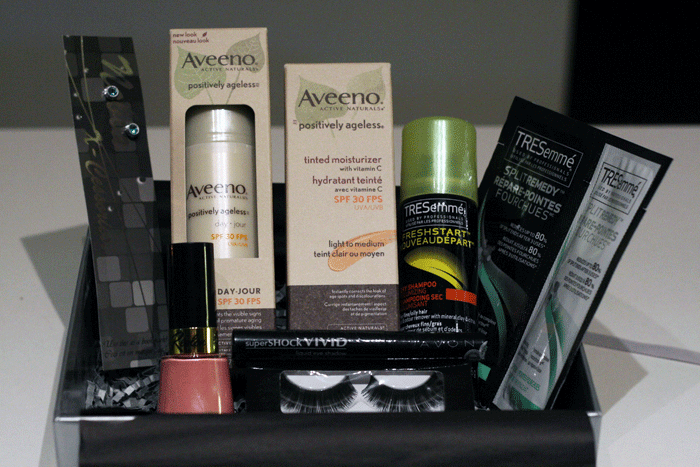 The products delivered are tailored to your personalized beauty profile and sourced from Canadian cosmetics companies and brands. GLOSSYBOX contain products (full size to samples) such as perfume, skin care, lipsticks, blushes, nail polish and much more. When my GLOSSYBOX arrived at my home a week ago, it was like Christmas all over again. I love the element of surprise as I had no idea what was going to be in this month’s box. 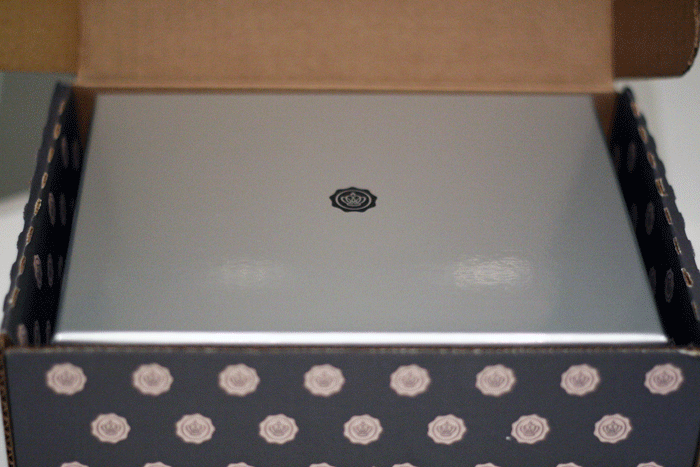 I was very impressed with the packaging, it came in a branded shipping box and inside was a shimmery silver GLOSSYBOX. Each box comes with a greeting card and also a list of this month’s featured products. 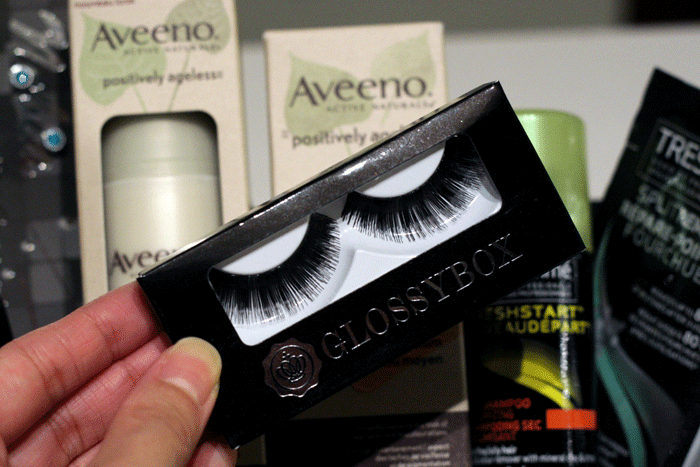 This month’s box came with a number of full size goodies from Aveeno, Revelon, Avon, and a pair of GLOSSYBOX falsies. All in all I was very pleased with the overall presentation and variety of products. I personally have an ample amount of beauty goods already stacked away at home, so this will probably put me over the top! However, I would definitely get this as a gift to for a close girlfriend, my sister, or my mom. It is such a great surprise for someone you love and it gives them a chance to try out a variety of goods. Well done GLOSSYBOX! 2. Wait for your 5 deluxe beauty samples delievered each month. 3. 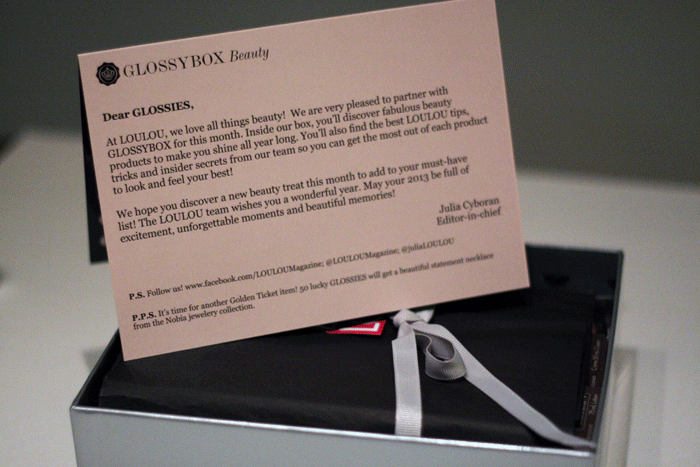 Try your GLOSSYBOX products and spread the news. If you’d like to give it a try first, you’re in luck! 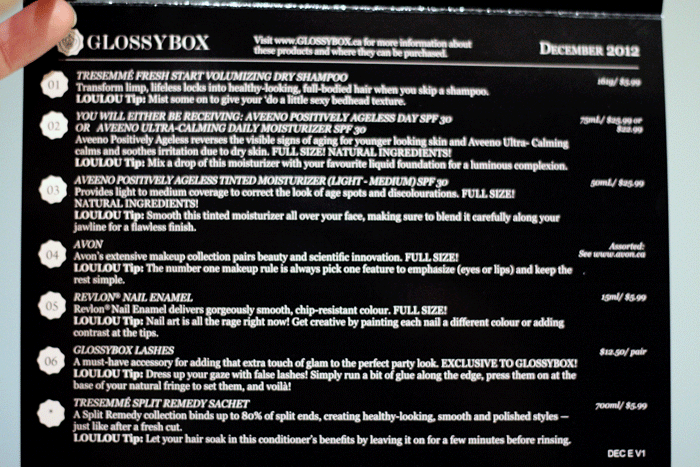 The GLOSSYBOX team was ever so kind to provide me with January’s edition and also one for one of my lucky readers! 4. Share this post with a friend! Deadline is January 29, 2013 at 11:59 p.m. EST, I will announce the winner on January 30, 2013. Thanks for swinging by and good luck! WINNERS for this giveaway are: Carina and Jenny! Check your inbox for a message from me. Thanks everyone for entering and please check back for more giveaways soon! 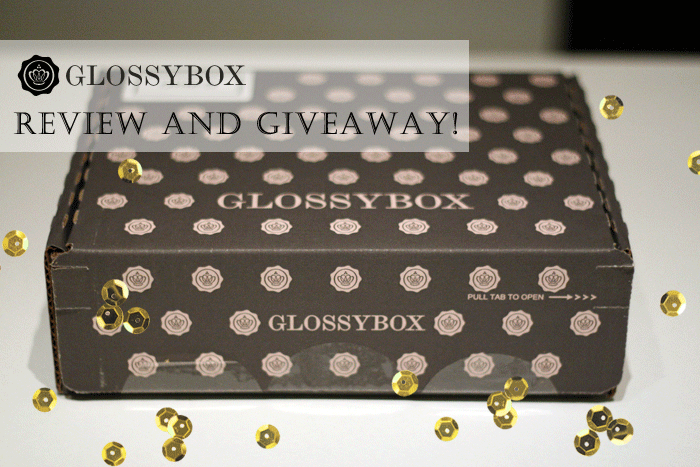 I have been looking up reviews for Glossybox, and yours helped immensely. Thanks so much! Would love to try!!! Thanks for the giveaway. I’m following! I would so love to win this!!! 😀 😀 😀 😀 totally have my fingers crossed all the way! Would be great to win! Love glossybox! For a momma to six, this would like a little bit of Xmas every month! !